Whether you’re fighting traffic to and from work, running errands with your family or heading across town for the weekend, driving is an essential part of modern life. Unfortunately, accidents happen. You can do everything right and still find yourself injured due to someone else’s mistake. Reid B. Wissner Law Offices is passionate about helping those who are hurt by another’s negligence obtain the justice and compensation they deserve. If you have been harmed in a car accident, you need a lawyer who understands your rights and has the skill and experience to help you get full and fair compensation for your injuries. Please contact us today online or at 212-406-9288 to discuss your case for free with car accident attorney Reid Wissner. We proudly help clients from Brooklyn, Queens and the Bronx. Speeding: When a driver is speeding, he or she is more likely to lose control of the vehicle and is also unable to react as quickly to regular and unexpected driving conditions. Driving while intoxicated: Even the safest and most responsible drivers are at risk when sharing the road with a drunk driver. When intoxicated drivers get behind the wheel of an automobile, they aren’t just endangering themselves, they are jeopardizing the safety and wellbeing of everyone else on the road. Distracted driving: Although it has been a problem for years, the widespread use of cell phones and other electronic devices has made distracted driving more common than ever before. Anything that takes your attention away from the act of driving is considered a driver distraction. Examples of distractions can include texting, grooming, eating, adjusting audio controls, reaching for items on the floor or another seat, intense passenger discussions or reading a map. Reckless and aggressive driving: In New York, aggressive driving is a factor in more than half of all motor vehicle accidents. Aggressive driving behaviors include chronic speeding, failure to signal, failure to yield the right of way, frequent lane changes and tailgating. We help car crash victims who sustain all types of injuries. Unfortunately, many people don’t think that their injuries are serious enough to contact a car accident attorney. The truth is that you don’t know the full extent of your current injuries and any injury can worsen over time. For example, whiplash can take several days to truly manifest, and you may gradually notice that the pain is growing too severe to be able to function and work as you once did. What you may think is a bruise could actually be internal bleeding. The headaches you’ve been experiencing could be initial signs of a traumatic brain injury. If you accept a settlement, you will not be able to seek compensation when your injuries get worse. Reid Wissner considers all aspects of your injuries, including future medical costs and resulting diminished earning capacity. He will protect your best interests, not the insurance company’s bottom line. Do I need a lawyer after a car accident? It’s a common question for many people wondering if and when to get an attorney for a traffic accident. If you’ve been hurt in a collision, don’t talk to an insurance representative until you speak with an experienced car wreck attorney. Reid Wissner has focused strictly on personal injury law for more than 30 years. He is committed to providing straightforward, client-focused legal counsel. When you work with Mr. Wissner, you will never be treated like just another case number. You won’t be shuffled off to an assistant or paralegal. Attorney Wissner will personally handle every aspect of your claim, from your initial consultation to the recovery of your settlement. He will focus on your case so you can focus on healing. We understand your case is unique. The best lawyers for car accidents never take a cookie-cutter approach to legal counsel. When you choose Reid B. Wissner Law Offices, your case will be built specifically for your individual situation in order to achieve the best possible outcome for you and your family. Insurance companies will do everything they can to minimize their payout after an accident. They will frequently offer you less than your injuries, medical expenses and vehicular damage actually require. Reid Wissner has more than three decades of experience helping car accident victims in Brooklyn, Queens and the Bronx recover the fair compensation and justice they deserve. He can help you, too. While you focus on your recovery, Mr. Wissner will be hard at work building a strong case against the negligent driver and negotiating a settlement that will cover the full extent of your damages. New York is a “no-fault” insurance state. Generally speaking, this means that every insurance policy is required to have a minimum of $50,000 in no-fault coverage for the payment of medical costs, lost wages and rehabilitation expenses regardless of who is at fault for the accidents. 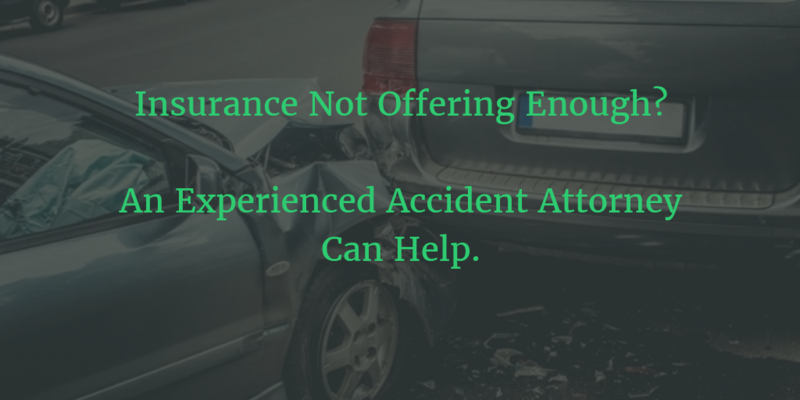 However, if the correct insurance company is not identified and put on notice of your claim in a timely manner, your rightful no-fault benefits could be jeopardized. This is why it is so important to work with an experienced car accident lawyer who fully understands New York’s no-fault regulations and can ensure your rights and benefits are protected. Check for injuries: As soon as you’ve been in an accident, your first course of action should always be to check if anyone in the vehicle is in need of immediate emergency medical attention. If so, call 911 right away. Never attempt to move anyone who is unconscious or experiencing neck or back pain. Allow medical responders to do this. Do not admit fault: When you exit the car to initially assess any damage and get information from the other driver, do not admit fault or guess at the cause of the collision. Collect information from the other driver: Obtain the other driver’s name, address, phone number, driver’s license number, license plate and insurance information. Get witness information: Take down the names and contact information of any witnesses at the scene. Take pictures: Almost all cell phones have built-in cameras. Capture images of the accident scene, including skid marks, and any damage to the vehicles. Call the police: Always answer honestly when speaking with a police officer but don’t admit fault if you aren’t sure of what caused the accident. An admission of fault on the accident report could jeopardize your case. Call your insurance company: You are legally required to report an accident to your insurer in a timely manner. Report any injuries and the basic details of what happened, but do not admit fault or sign any statements without consulting with an accident attorney. Be aware that if you are not honest with the insurance company, they can potentially disclaim coverage later. Seek medical attention: Even if you aren’t sure if you’ve been seriously injured, you should always seek medical attention after an accident. Not only will a doctor be able to identify and treat your injuries before they worsen, the medical record serves to document your injuries and potentially strengthen your case. 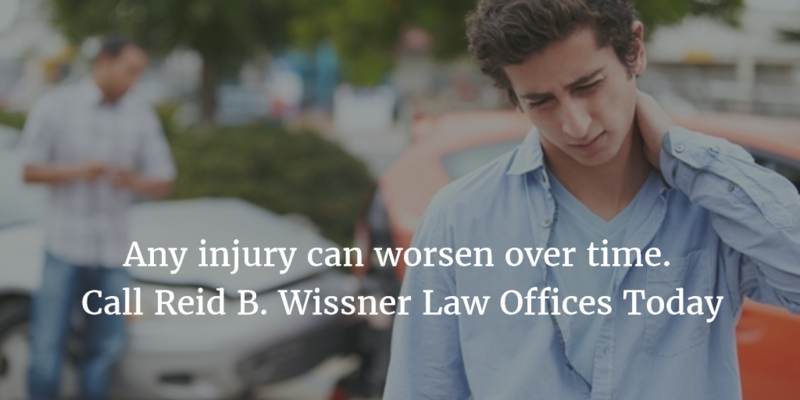 Call Reid B. Wissner Law Offices: If you have experienced any injuries whatsoever, you should contact Reid Wissner right away. The sooner you contact our office, the easier it will be for Mr. Wissner to build your strongest case. He can also deal directly with the insurance company so that you can focus exclusively on healing. At Reid B. Wissner Law Offices, you aren’t just another case number, you are our top priority. If you have been hurt in a car crash in the Bronx, Queens or Brooklyn, please contact us today by completing the form on this page or calling 212-406-9288 to schedule a free consultation. Don’t let concerns of car accident lawyer fees stop you from pursuing justice. It costs you nothing to discuss your case. If we agree to move forward with your claim, you won’t owe a penny unless your case is successful.